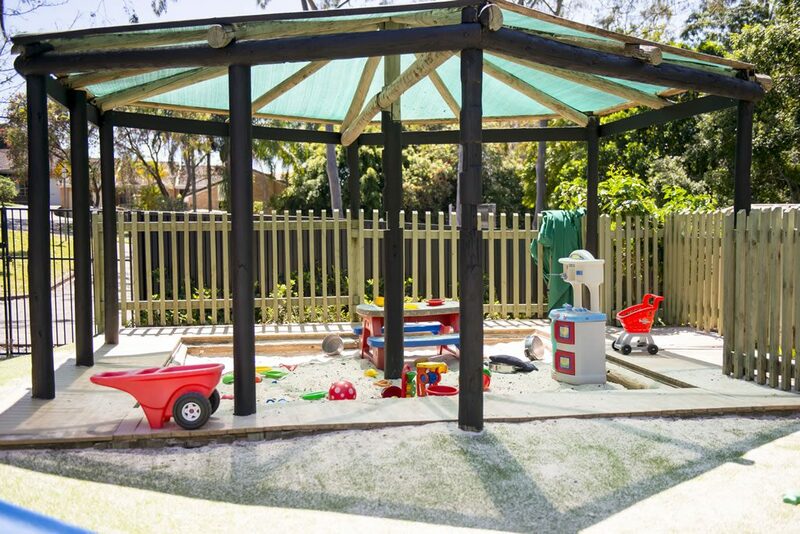 The environment at Nestle In Goonellabah is purpose-designed for ages 0 – 2 years, and reflects the individual routine, as well as supports the development of each child. The Tadpole’s mix of soft areas with carpet and cushions, as well as hard floor areas for eating and messy play are set to support developing children both safely and securely. We love to welcome parents in for a “day in the life” of their child, where they can experience the Tadpoles environment and then feel more secure in themselves, understanding the routine of their little ones. 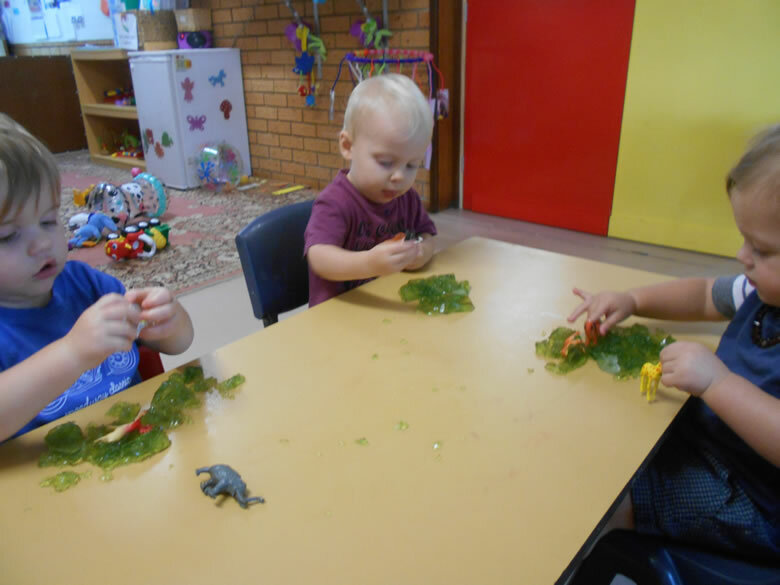 Educators fully support the Tadpole’s routine, and the program greatly reflects the children’s milestones; such as self-help skills, addressing attachment, and gross motor skills such as sitting, crawling and walking. They will learn from cause and effect experiences, such as “if I do this, that will happen”, and from here, flow into our early literacy such as learnings from labelling items in the environment, picture books, simple songs and rhymes, finger plays. Early numeracy is also touched upon, counting 1, 2, 3… stacking blocks, and cups. Creativity is also promoted which extensively develops their young minds, using finger painting, small, thick brush painting, sand and water play and play dough – rolling and sensory. 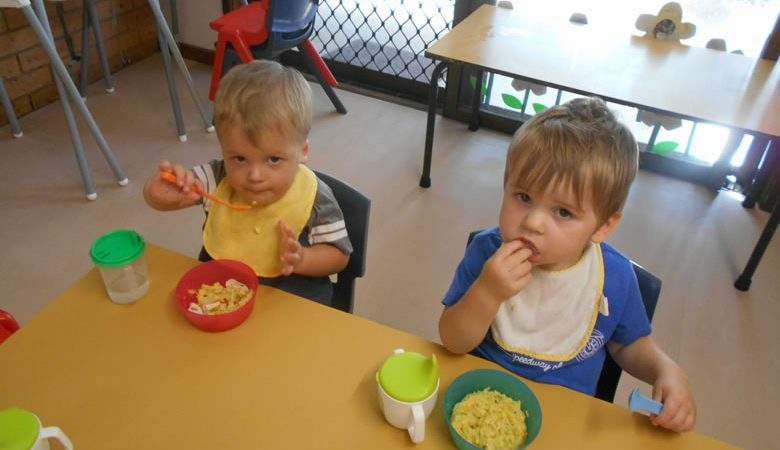 For more information about our Child Care Nursery’s Tadpoles 0 – 2 years Program at Nestle In Nursery School Goonellabah, please don’t hesitate to get in touch at a time convenient to you.